Military standards often require noise reduction due to tactical needs. Military power supplies also require considerable protection from lightning strikes and power spikes. Military power supplies support higher voltages and lower input signals than commercial off-the-shelf (COTS) supplies used by military hospitals and air traffic control facilities. Military-grade aircraft and vehicles provide three operational modes: normal, abnormal, and emergency. Power supplies must support specific voltage ranges encountered for each operational mode. Military power units must withstand temperatures below -40 degrees Celsius and above 80 degrees Celsius. Extreme situations like thermal shock are also a consideration. 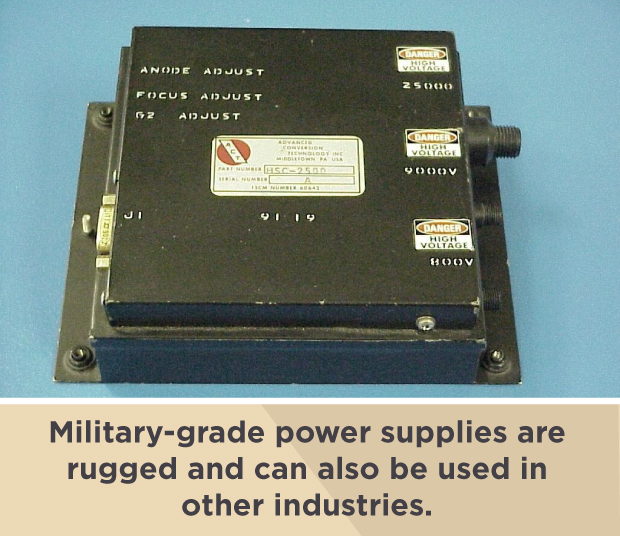 Military power supplies must be able to handle considerable vibration and shock, and not just the kind of jostling that occurs on train and airplane trips, but those of tracked and wheeled military vehicles as well as the effects of artillery fire. Military operations require power devices that can withstand water and high humidity. One measure of the sealing integrity of these units is immersion to the depth of 1 meter per MIL-STD-810 Method 512.5. Non-conductive materials like silicone elastomerics might be used for sealing. The power system may not be required to be watertight but must withstand humidity, drip, or blowing rain, and may utilize a GORE TEX® vent. Nevertheless, airborne vehicles require weight-saving solutions like urethane coatings applied to the circuit boards whenever moisture is encountered. CE requirements, in force since 1997, require compliance with EN601010-1 safety standards with thicker insulators and higher clearance for high-voltage circuits. Shrouded connectors and relief clip connector covers prevent accidental user contact with exposed screw terminal strips or bus bars. These standards place users at less risk of injury from inadvertent contact. Military-grade power supplies are also guided by military specifications: MIL-STD-704 (aircraft), MIL-STD-1275 (ground), MIL-STD-1399 (shipboard), MIL-STD-810 (environmental test methods), and MIL-STD-461 (EMI). These standards cover topics such as voltage, maximum current, frequency, electrical noise, and abnormal conditions for both AC and DC systems. There are also specifications for high-impact shock, as clarified by MIL-S-901. These standards cover shock testing requirements for shipboard machinery, equipment, systems, and structures. The purpose of the MIL-S-901 standards is to ensure the ability of shipboard power installations to withstand the shocks incurred due to nuclear or conventional weapons. Universal input power-factor corrected units can operate off a wide range of AC input line voltage, which means they can be used just about anywhere in the world without the complication of finding an appropriate voltage selection. Point of load (POL) converters output very low voltages at high efficiencies. By permitting low voltage at high currents, it becomes easier to provide low voltage power from a single power source to multiple isolated supplies. The converters are also small and can reduce board size, weight, heat, and even cost while doubling, or tripling, processing power. Distributed systems, as opposed to centralized ones, deliver considerable power with less development cost and in a shorter timeframe. A faster design cycle means a product can be deployed with a relatively short turnaround time. Zero voltage switching (soft switching) reduces electromagnetic noise while also preventing interference with electronic equipment. Soft switching eliminates the power loss that occurs when power transistors change from a conducting state to a non-conducting state. This reduction in waste can improve power supply efficiency by 7 to 8 percent. This may equate to saving 70 to 80 watts of dissipation as the efficiency of a 1000 watt power supply increases from 89% to 95%. A soft-switching power supply unit will not only generate less electrical noise than other power supplies, but it offers longer mean time between failure. Although military units have adopted COTS standards of reliability and performance, such standards may be insufficient in the field due to mission-specific requirements. Devices used aboard military aircraft, armored vehicles, and naval vessels endure extreme and extensive use and require more rigorous design. They must also perform at a high level without failure. Single-phase transformers – Military-grade transformers are typically used in missile and airborne applications, as well as tanks and submarines. The best quality transformers should work under extreme temperatures. They’re encapsulated to protect them from vibration, fungus, excessive sunlight, dust, humidity, moisture, altitude, and salt. Three-phase transformers – Three-phase transformers are designed to meet high temperature resistance for military electronics and telecommunications. Like single-phase transformers, three-phase transformers are encapsulated to protect against extreme conditions. The best three-phase transformers are fairly compact. 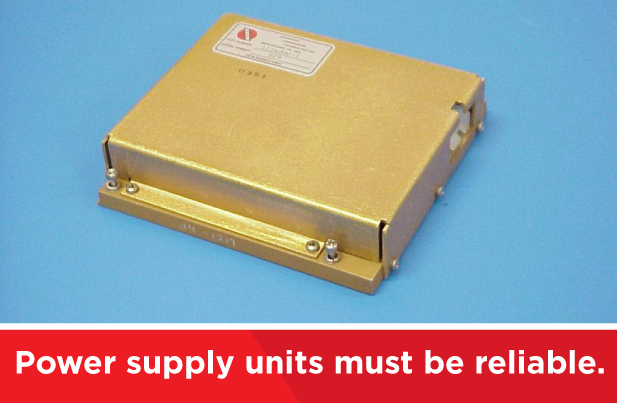 QPL transformers – QPL transformers, such as 1000-watt AC-DC switchers, are designed to withstand extremely cold conditions such as outer space and can endure the considerable stress of rocket lift-off. They’re an especially durable component of power supply systems used in spy satellites, rockets, and other aeronautical equipment. Heavy-duty AC-DC converters – Military-grade converters should be able to withstand the highest loads and resist the worst humidity. They should also be able to withstand high-impact shocks as well as heavy condensation. They’re extensively operated off battlefield generators and power both shipboard and airborne equipment. Inverters – DC-AC inverters provide powerful, reliable, and low-maintenance current inversion for use on ships, aircraft, and vehicles. They’re lightweight and are able to endure a variety of environmental challenges. DC-AC inverters are able to convert voltage from one level to another while also ensuring protection from overheating, over-voltage, and short circuiting. DC-DC Converters – The best DC converters can endure extremely harsh conditions and offer a wide range of adjustable voltage output with low noise. DC-DC converters are often used for military drones. Over-voltage protection – Over-voltage protectors help prevent voltage spikes in power supply units or in the devices that rely on these units for power. EMI filters – Military-grade electromagnetic interference filters (EMI filters) protect electrical circuits from disturbances that cause degradation of information and data loss. Protective cases – Military-grade power supplies include protective cases designed to prevent damage when supplies are dropped. Hermeticity – Hermeticity prevents air and gas from interfering with the power supply, reducing the negative impact of outside conditions. PFC circuits – Because ships and planes need low total harmonic distortion (THD) power supplies, PFC (power factor correction) circuits are used to reduce the chances of interference between other systems. Inductors – Inductors store energy and maintain a steady voltage despite varying current. They’re encapsulated to ensure their ability to function in harsh environments. To withstand extreme conditions, circuit boards are encased in metal and shielded from electromagnetic interference. Gold plating may be used to prevent corrosion in damp environments and to optimize grounding of electronic circuits. A range of input options also provide military power supplies with the kind of versatility needed in the field. It’s not enough for power supply units to be rugged and extremely reliable. They must also perform diagnostic operations on their own. Many power supplies report various operating conditions such as over/under voltage, over/under current, and temperature. Some power supplies offer N+1 redundancy and when the primary unit fails, a message is sent that the back up system is running, triggering a technician to respond. This permits technicians to troubleshoot devices before they stop working completely and must be decommissioned for repair. It’s too risky for military equipment to break down when they’re needed most. Although the three configurations of military power supplies — AC-DC, DC-DC, and DC-AC — are similar to COTS supplies, they couldn’t be more different when it comes to reliability. This reliability extends to a wide range of temperatures as well as extreme shock and even high impact. COTS supplies have a shorter mean-time-between-failure (MTBF) rating than military-grade power supplies when measured in like environments. This means a greater likelihood of interruptions. Such interruptions can be life-threatening for military transportation applications. Military-grade supplies, on the other hand, are highly regulated to ensure high-quality, with clear specifications for various environments. When the defense industry uses COTS power supplies, it must understand the greater likelihood of obsolescence, EMI issues, and environmental vulnerability. Using COTS supplies could require significant modifications to compensate for the risks. MIL-SPEC reliability requirements are found in most military applications and are needed to prepare supplies for deployment in harsh environments. MIL-HDBK-217 was designed to determine the reliability of military and aerospace equipment and systems. The MTBF numbers help companies analyze the reliability of individual components and the overall system. The durability and reliability of military power supplies make them suitable not just for military purposes but for the high-power needs of the aerospace industry as well. Since even military-grade supplies can become outdated, it’s important to upgrade as safer, more powerful models become available. Once older components become obsolete, they may no longer be compatible with newer power systems. Fortunately, military power supplies are usually updated every two years, so you can easily secure the very latest rugged and reliable design. Military power conversion vendors are creating more rugged and efficient products every year. Uninterruptible power supplies (UPS), for example, are increasingly critical during extended military operations. They prevent data loss, maintain battery charge, and also provide reliable, continuous power, and surge protection. UPSs and power distribution units (PDUs) overcome the usual instabilities, frequency variations, and distortion problems that occur when energy resources are scant. COTS units should be repackaged or replaced to meet shock, vibration, and temperature challenges. Although upgrading your power supply system makes it safer to use and more effective at providing power, industry regulations require that products are repairable. travel. In fact, power supplies that meet MIL-SPEC standards are used for industrial and commercial purposes. If your business needs power units that remain highly effective despite small problems, you should consider the ruggedness of military-grade supply units. Rugged supplies provide predictable and useful service regardless of the nature of the work — for example, having a hard casing that prevents sand and dirt from infiltrating the unit. Since heavy duty military-grade power supplies last longer than COTS units, you’ll spend less money in the long run. Advanced Conversion Technology (ACT) offers reliable, cost-effective solutions to the most demanding requirements in a wide variety of industries, including military (air, sea, and land), transportation, communications, and civilian aerospace and aviation. We provide engineered solutions for any customer in need of military-grade quality and ruggedness. If you need power supplies that can withstand the harshest conditions, we can engineer the right products for your business. Why Use ACT for Your Power Supply Needs? ACT has been offering reliable, affordable, high-performance power supplies since 1981. We’ve spent years customizing solutions for customers in the military and aerospace industries, providing them with highly-reliable products to meet stringent environmental requirements. Our engineered power supplies meet very precise requirements for weight, efficiency, size, hermeticity, and ruggedness. We’ve designed and manufactured an extensive range of AC-DC and DC-DC power supplies in addition to inverters, and we provide support for the entire life cycle of our components. Our AC-DC products like a 3 Phase 400 Hz Power Supply meet special requirements for shock and vibration, high altitude, and extreme temperatures. Our DC-DC power supplies (including our 270 VDC power supply and 28 VDC Power Supply) handle high-voltage spikes and MIL-STD-1275 specifications for low input voltage transients. We manufacture a diverse range of rugged and reliable power supplies that are fully compliant with MIL-STD-704, which sets our requirements for input transient, maximum allowable distortion, and also acceptable limits for under-voltage and over-voltage. Our aircraft applications for the Navy and Air Force, for example, currently meet MIL-STD-704 aircraft standards for infrared systems, radar, cockpit displays, helmet displays, aerial refueling, identifying friend or foe, navigation, and countermeasures. 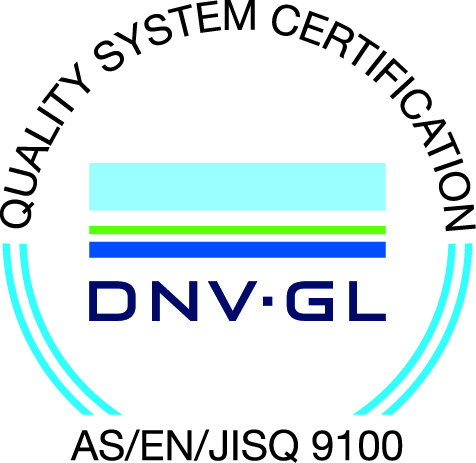 As a trusted supplier to the defense industry, we’ve adhered to the highest quality processes for power supplies, and our quality management system is AS9100D. These standards, however, apply to all of our products, including non-military aerospace, industrial, and general commercial applications like communications, shipping, and marine transport. Power supplies for communications systems — cellular, satellite, and radio — meet strict requirements for low harmonic distortion, low failure rates, high efficiency, and low noise. Although our core business provides power supplies for aerospace and MIL-STD-1399 compliant shipboard electronics, we also provide MIL-STD-1275 compliant power supplies for ground vehicles, featuring EMI shielding, multiple outputs, and other advanced features. Our 30+ years of engineering expertise helps us design the most reliable power for tanks, mine rollers, and other ground vehicles and equipment. Hardware must be able to withstand dusty, humid conditions as well as the shocks that occur when navigating over rough terrain. Ruggedized frames protect our power supplies from damage. Hermetically-sealed modules keep equipment dust-free and safe at any humidity level and temperature. Whatever your needs, we can design the most rugged, reliable, and cost-effective power supply solution, whether you require a single-phase AC-DC, a three-phase power supply, or a DC-DC one. We can engineer and design power supplies to the highest standards, providing sophisticated solutions to the most demanding environments and applications. Contact us and find out how our expertise in military-grade power supplies can engineer high-performance yet affordable solutions for your business needs today.